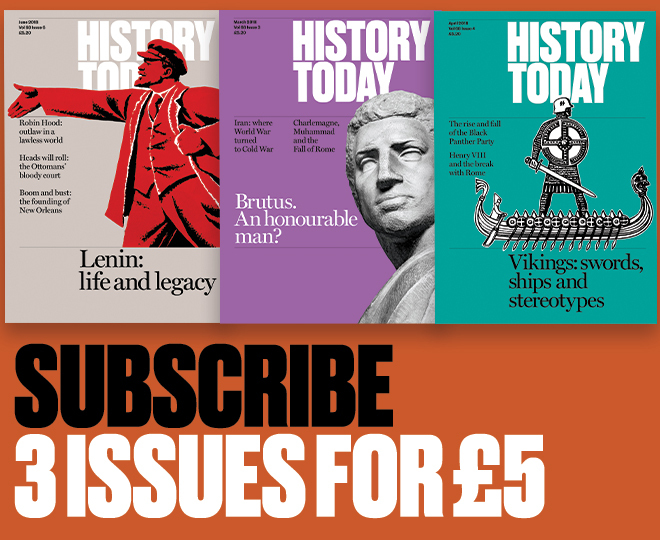 As our 60th anniversary year nears its conclusion we asked distinguished historians to choose their favourite works of history produced in the last 60 years and to name the most important historian of the period. As our 60th anniversary year nears its conclusion we asked distinguished historians to choose their favourite works of history produced in the last 60 years and to name the most important historian of the period. Their replies are fascinating, revealing a discipline in rude health, of great breadth and prodigious achievement. I would suggest Quentin Skinner as the most important historian, someone who has transformed his field, methodologically and substantively, and had an enormous impact in publishing and supporting more junior scholars. He is an enormously generous and charismatic teacher who has contributed to all levels of the academy. As for the most important history book – I would hesitate to name a single work, but would prefer to nominate a journal, History Workshop, for its contribution to the creation and ongoing development of many fields, but particularly of social history, women’s and gender history and its engagement with public history. History Workshop has provided a model of intellectual diversity, freshness and political engagement and continues to do so today. Lucy Delap is Fellow and Director of Studies in History at St Catherine’s College, Cambridge. These are impossible, indeed impractical questions to answer, because different parts of the world generate and value different historical work. For example there are works of Jewish history and Black history regarded as foundational in the US, which are barely known in the UK. But here are three historians whose reputations have triumphantly crossed boundaries: Fernand Braudel for his The Mediterranean and the Mediterranean World in the Age of Philip II (completed in 1966); Jonathan Spence for The Chan's Great Continent: China in Western Minds (1998); and Keith Thomas for Religion and the Decline of Magic (1971). Braudel has perhaps been the most widely influential, not least because he reminded historians of the vital importance of examining stretches of water and not merely expanses of land. Linda Colley is Shelby M.C. Davis 1958 Professor of History at the University of Princeton. Most of us stand on the shoulders of earlier historians, but Peter Laslett’s superb edition of John Locke’s Two Treatises of Government (1960) came from nowhere and was at once perfection. It founded the modern discipline of the history of political thought and it triggered an earthquake in the interpretation of Locke, the results of which are still being felt. It ties in first place with Conrad Russell’s The Fall of the British Monarchies, 1637-1642 (1991). Here, and in his other works, Russell overturned a variety of still-influential teleological interpretations of the ‘English’ civil war, and demonstrated, as historians should, that the answers to major questions are seldom what you expect. But my accolade for most important historian must go to the incomparable François Furet. A Communist himself, he left the party in 1956 in disillusion. With remarkable bravery and almost single-handed among French historians, he broke the Marxist stranglehold on the interpretation of the French Revolution. Like Laslett and Russell, he reinstated the history of ideas and of politics, freed from reductionist imperatives. Which of us has done as much? J.C.D. Clark is the Joyce C. and Elizabeth Ann Hall Distinguished Professor of British History at the University of Kansas. Fernand Braudel’s masterpiece, The Mediterranean and the Mediterranean World in the Age of Philip II, more than any other work of history published in the 20th century, showed just how immense and indeed almost Olympian, a historian’s scope legitimately can be. Famously, despite its title, it ranges across time from the Bronze Age to the present day and includes everything from zoology to numismatics within its astoundingly capacious embrace. Rarely has a single book expanded the horizons of a discipline to such potent and enduring effect. Some great historians pull down the dividing lines that have traditionally served to demarcate chronological periods and construct entire new models on their ruins. Others bring to light reaches of the past that have hitherto been ignored by the mainstream of their profession. Peter Brown, uniquely, has done both. It is thanks principally to him that there is now a field of study called ‘Late Antiquity’, straddling the two previously hermetically sealed dimensions of ancient and medieval history. It is thanks to him as well that religion and the process of religious change has been entrenched as the focus of study for historians of antiquity and the early medieval world – with implications for the study of more recent periods that are only now starting to come into focus. Tom Holland‘s The Shadow of the Sword: Global Empire and the Rise of a New Religion will be published by Little, Brown in April 2012. As I am a professional Egyptologist, my choices are all firmly Egypt-based. With the excitement of the discovery of Tutankhamen’s tomb over, the past 60 years have been a time of calm consolidation in Egyptology. Barry Kemp’s Ancient Egypt: Anatomy of a Civilisation (1991) is perhaps the first modern Egyptian history book to break away from the traditional and rather staid king-based chronological format to present a cultural history that really explains the ideas behind the development of the Egyptian state. It is an excellent read. My second choice is a more personal one. Kenneth Kitchen’s Pharaoh Triumphant (1985) was the first book really to bring an ancient Egyptian king – Ramesses II – to life. Kitchen, writing as if he actually knew Ramesses, shows that it is possible to pull together the disparate threads of archaeological and textual evidence to tell the coherent story of an ancient king. It is difficult to pick just one important historian, but I have chosen Kenneth Kitchen. The sheer breadth of his output is staggering, from the most scholarly of translated texts to popular history. At the same time he has been an inspiring teacher and a constant guide to young students taking their first tentative steps in the Egyptological world. Joyce Tyldesley is senior lecturer in Egyptology at Manchester University. I am happy to answer this and, in doing so, to go back to my roots in 17th- and 18th-century history – and not the Tudor period about which I now write. My choices also reveal something of my influences as a historian – and my age. For me the most important history book of the last 60 years is, without question, E.P. Thompson’s The Making of the English Working Class (1963), a towering work that put social history firmly on the map and is still on university reading lists today. Not everyone agrees with it, of course, and it has its flaws, but its aim was to give voice to the forgotten, to rescue them, as Thompson himself put it, from the ‘enormous condescension of posterity’. In this it magnificently succeeded. The greatest historian is a difficult choice but my vote goes to Christopher Hill for his work on the 17th century and the English Revolution. He transformed the way people thought about the Civil Wars and his output was astonishing. And yes I was trained by a Marxist historian (the late Gwyn A. Williams) and I am proud of it. We are, I fear, a dying breed. Linda Porter‘s latest book is Katherine the Queen: The Remarkable Life of Katherine Parr (Macmillan, 2010). It is desperately difficult to answer this question, but I suggest the most important book is Religion and the Decline of Magic by Keith Thomas, a rare case of a top academic historian taking the history of magic seriously as an important part of the history of ideas in Europe. The most important historian is Fernand Braudel for the huge scope of his books on the history of the Mediterranean, civilisation and capitalism and the rest. His focus on social and economic developments and on the lives of so-called ‘ordinary’ people have been tremendously influential. Richard Cavendish is a historian who writes ‘Months Past’ for History Today. I’m afraid I can’t give you a conventional answer and what I say comes from a bit left-field. Neither choice is strictly speaking ‘pure history’ but based on a subjective view, reflecting what has had a direct influence on my own approach to writing history. Elizabeth Longford’s Victoria RI (1964) was a real trailblazer in opening up our understanding of the queen and the history of the monarchy in a new, engaging and populist way. It has been my personal benchmark for writing about the Victorian period. But, far more importantly, Longford set the scene for a whole new school of women’s history writing and historical biography that followed, exemplified by Antonia Fraser, Jenny Uglow, Kathryn Hughes, Claire Tomalin and Amanda Foreman. Without a doubt the work of the great historian of ideas Sir Isaiah Berlin has had a profound influence not just on my love of 19th-century Russian history and literature but also on my understanding of the figures of the Russian intelligentsia – Bakunin, Belinsky, Herzen, Tolstoy – who shaped that century. Berlin’s collection of essays Russian Thinkers (1978) was a landmark work and by far the most enlightening voice on all things Russian. He made me want to understand Russia better and to write about it – and that for me is the mark of a great historical writer. Helen Rappaport is the author of Magnificent Obsession: Victoria, Albert and the Death that Changed the Monarchy (Hutchinson 2011). ‘Important’ in this context is a meaningless, bombastic word and the field of history is far too vast, the labouring historians in the field far too numerous, for any answer to be valid. I can think of only one work and one author that in the last 60 years have fundamentally affected humanity’s perception of an important part of its past: The Gulag Archipelago (1973) by Alexander Solzhenitsyn. There has been a whole library published of remarkable works in the innumerable divisions and sub-divisions of written history, but I cannot discuss even those which I have read in the terms you propose. Hugh Brogan is Research Professor in History at the University of Essex. For me the most influential historian of the last 60 years is Mark Girouard. That’s because in my own discipline, architectural history, he put the people back into what had become a realm reserved exclusively for connoisseurs. Long before the ‘new art history’ movement of the 1980s he was looking at buildings as the concrete reflection of the society that produced them, rather than just as works of art. The other reason he’s been so influential is his effortless brilliance as a writer. His books are life-affirming, humorous, quirky and brimming with revelatory ideas. I would pick out Life In The English Country House: A Social and Architectural History (1979). It really is the textbook for everyone in the business of curating historic houses today. History books are important in different ways. I would include Fritz Fischer’s Griff nach der Weltmacht: Die Kriegszielpolitik des kaiserlichen Deutschland (1961), the book that opened up the whole history of 19th- and 20th-century Germany by destroying the taboos that had surrounded the question of continuity between the Kaiser’s Germany and Hitler’s Third Reich, as well as putting on the table a series of unasked questions about the origins of the First World War. But Fischer’s book was traditional in methodological terms, so for importance in the latter sense I’d go for Emmanuel Le Roy Ladurie’s Montaillou (1978), which more than any other book put micro-history on the map and showed how, with the aid of theory (in this case anthropology), small and intimate subjects could be made to say big and important things. Finally, among books that make us rethink what we are doing as historians, I’d go for E.H. Carr’s What is History? (1961), wrong-headed in many ways, but which raises as no other book had done before the crucial questions of relativism, objectivity, truth and knowledge in the study and writing of history and does so in a way that is enjoyable as well as provocative, which no doubt is why it is still being read today. There are plenty of great historians who have had little lasting effect on the way we write history or who are not much read outside the profession, or who close down subjects rather than open them up. 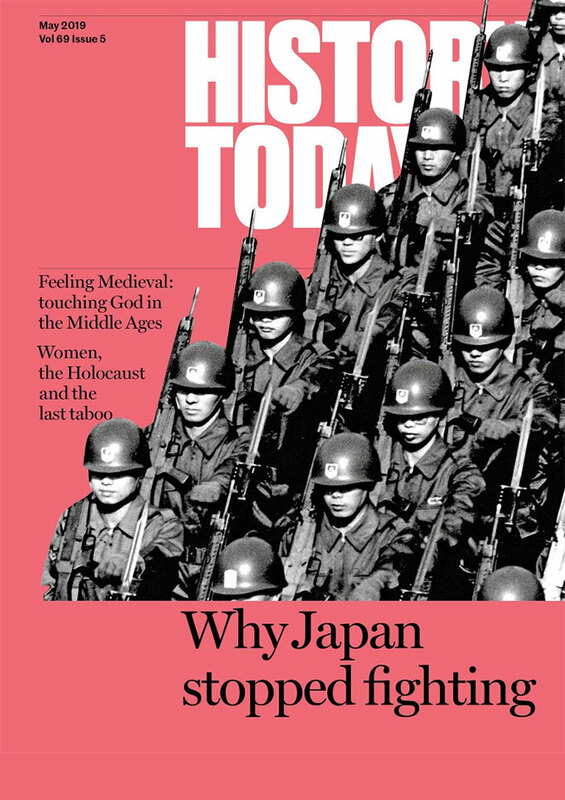 Eric Hobsbawm is not among them. Wherever you look, from British labour history to the general crisis of the 17th century, from the ‘invention of tradition’ to the periodisation of the 20th century, he has always seen the big picture, raised the crucial questions and developed new ways of understanding the past. He is undeniably the best-known historian in the world today: his combination of intellectual rigour, stylistic brilliance and broad, comparative, worldwide perspective is an example to us all. 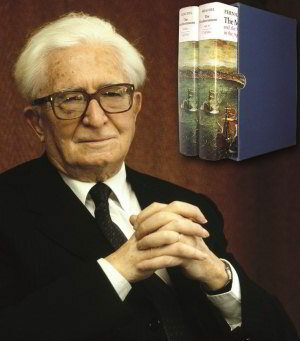 R.I. Moore’s Formation of a Persecuting Society (1987) is a deftly written and thought-provoking book. The 12th century was a time when a resurgent papacy sought to establish and create boundaries of power and belief; Moore shows how this was achieved and in doing so provides a brilliant framework in which to place so many of the changes that affected medieval Europe during this dynamic period. Carole Hillenbrand’s The Crusades: Islamic Perspectives (1999) is an important book because it brought alive the medieval Muslim world in a way that no previous text had done; a huge range of source material, much of it unfamiliar to non-Arabic readers and vast numbers of illustrations, all combined to show the reaction of the Muslims to the crusading age. Jonathan Riley-Smith’s What Were the Crusades? (1977) is a slim book with a simple title. Therein lies its success and longevity; by posing this challenging question he did much to generate decades of debate among scholars. Jonathan Phillips is Professor of the History of the Crusades at Royal Holloway University of London. F.W. Maitland’s Domesday Book And Beyond (1897) sticks in my mind after nearly 40 years. Among living historians I would pick out Hugh Thomas: either his Spanish Civil War (1961) or his History of Cuba, which I recently read and which seemed incredibly fresh though written in 1971. Michael Burleigh is the author of Moral Combat: A History of World War Two (Harper Press, 2010). Geoffrey Elton for sheer stamina, productivity, originality and commitment to finding out the truth about the past. R.J.W. Evans for Rudolf II and his World: A Study in Intellectual History, 1576-1612 (1973). The Mitteleuropa of the late Renaissance, presided over by an occluded aesthete-emperor, was revealed for the first time to a wide readership in this graceful work with its astonishingly polyglot command of the sources. The publication of Fritz Fischer’s Griff nach der Weltmacht, translated as Germany’s Aims in the First World War, was a significant public event in the history of the German Federal Republic after the Second World War. It is a work of diplomatic, political, international and intellectual history. In blaming the Wilhelmine Reich for starting the war it began a major debate in Germany about its identity and culture. Rees Davis, author of The First English Empire: Power and Identities in the British Isles, 1093-1343 (2000), was just about the only medievalist writing in English in the late 20th century who was comparable to Marc Bloch in his ability to produce powerfully explanatory hypotheses on the basis of deep digging in specific localities. Evidence drawn from Marcher Wales informed Davis’s elegantly framed hypotheses about the differing fortunes of the nations that have coexisted on our archipelago. Hywel Williams is author of The Age of Chivalry: Culture and Power in Medieval Europe, 950 to 1450 (Quercus, 2011). Keith Thomas’s Religion and the Decline of Magic (1971) is a highly original study, rich in insights and fresh in its approach to social-cultural history. To use the title of Peter Laslett’s fine work, Thomas’s book took me back to ‘the world we have lost’. Tony Wrigley’s The Population History of England 1541-1871: A Reconstruction (1981) is a social science masterpiece in the recovery of the demographic past of England. It is a book that has changed our understanding of population in its period. Ian Kershaw’s two-volume Adolf Hitler (1998 and 2000) is based on painstaking research and excellent judgement. It is a major contribution to modern history. Eric Hobsbawm is my choice for historian. His work is marked by his ability to take long views in time and broad views, often comparative (across continents and cultures), the fertile nature of his insights (launching so many other scholars on intellectual journeys) and by incisive yet highly literate writing. From such early work as Primitive Rebels to the present he has been a historian whose work has been hard for other historians to ignore. Chris Wrigley is Professor of Modern British History at the University of Nottingham.